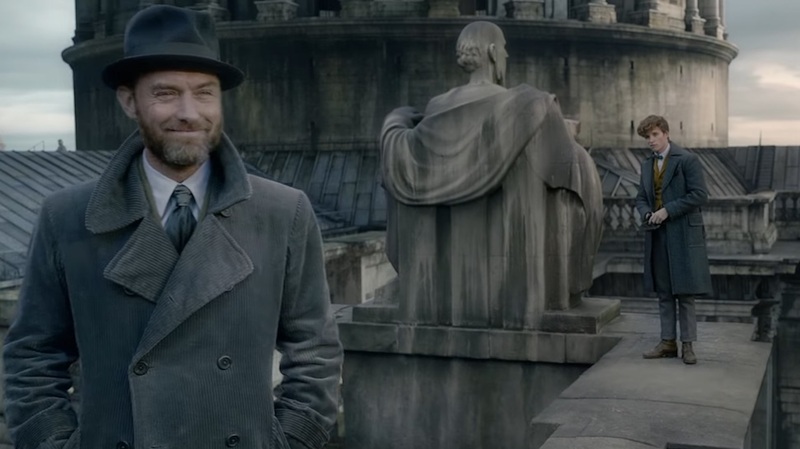 The first teaser trailer for the second installment of the ‘Fantastic Beasts’ franchise is finally out and our minds just got blown. The first installment came out in November 2016 and it left us all asking for more. The movie explored the wizard community of America and the timeline was 70 years before the events of the Harry Potter series. The movie got a good response from the fans and critics alike and started the new series with a bang. Fantastic Beasts 2, ‘The Crimes of Grindelwald’ follows Newt Scamander in some more of his adventures alongside the most loved headmaster of Hogwarts, Albus Dumbledore! 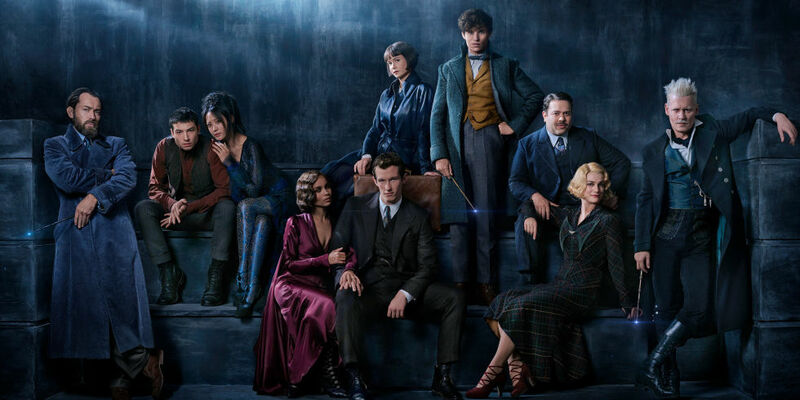 The trailer has just dropped and fans are super hyped for the release of this movie as it explores new realms of magic in the wizarding world of Harry Potter. 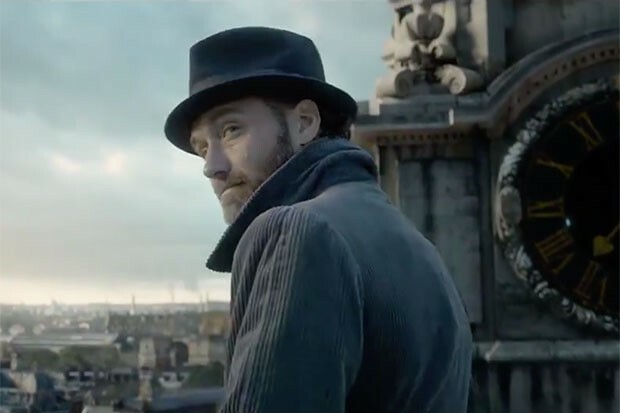 The trailer has left us all asking many questions as there are some new characters and creatures and of course Jude Law! Fans have noticed that the first trailer has some questionable moments and apparently some plot holes. Yes, we are back to Hogwarts in the first scene of the trailer itself and are introduced to a younger and handsome version of our beloved future headmaster in his office, being interrogated by people who seem like ministry officials. Dumbledore is suspected to have sent Newt on a mission to Paris and of course it involves Grindelwald. The first plot hole is present in the first few seconds of the trailer itself. Three wizards are seen apparating on Hogwarts grounds and we cannot help but wonder-how? If you have read the books or even watched the Potter movies you would know the strict rule about apparition inside and on Hogwarts grounds and the rule says you cannot do that! 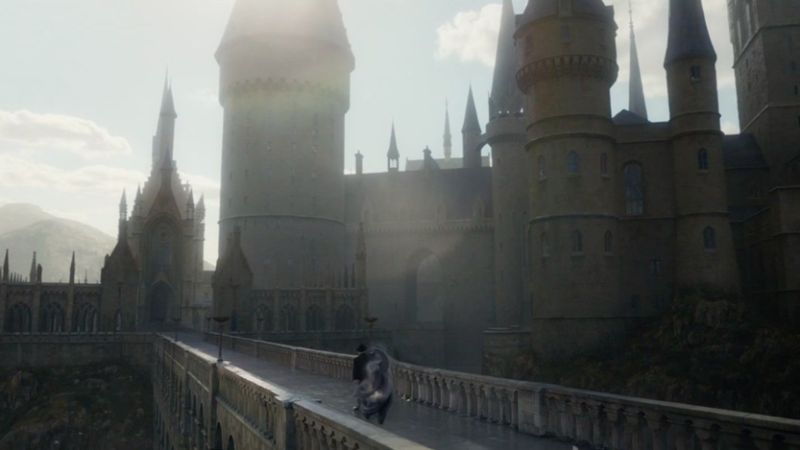 An enchantment on the grounds makes it impossible for anyone to apparate or disapparate within Hogwarts premises. The exception to the rule was Dumbledore himself as he could apparate inside the castle but that was it. This little detail has left all Potterheads bewildered and asking questions. Does this mean that the apparition rule was applied much later and did not exist at that time? 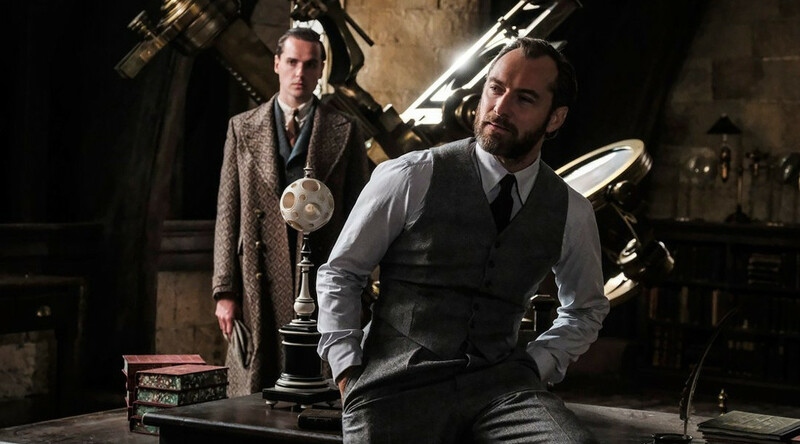 Another plot hole that has raised eyebrows is the very next scene of the trailer that introduces Jude Law in all his handsome glory as the young Dumbledore. 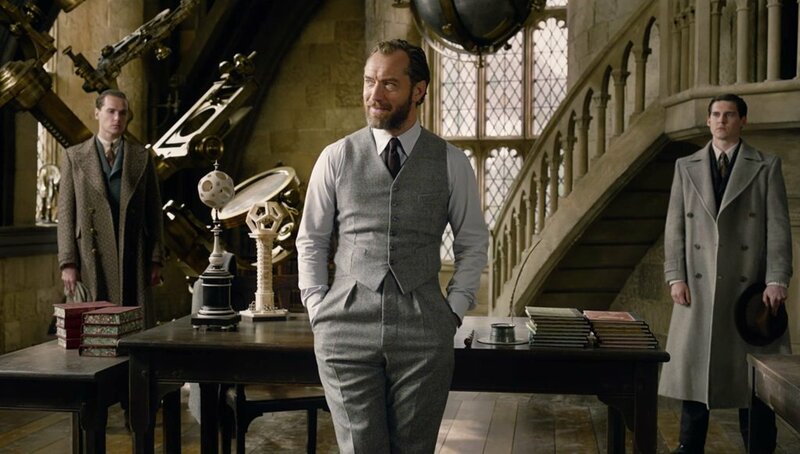 So Dumbledore used to dress up in three-piece suits looking so dapper in his younger days and later started dressing in long fancy robes. Well this is not the plot hole and we are certainly not complaining but the fact that Dumbledore is standing in the wrong office is certainly hard to digest. A lot of people don’t know that Dumbledore taught Transfiguration as a teacher at Hogwarts much before he became the headmaster. In the trailer he is seen standing in what looks like the defence against the dark arts office. In the ‘Prisoner of Azkaban’, the defence against the dark arts office was often shown as Lupin had the office at that time. So why is Dumbledore being the Transfiguration standing in the wrong office? Is this a plot hole or did this office actually belong to Dumbledore in the earlier days and later became the defence against the dark arts classroom? The fact that the fans are already asking questions about the movie when only the first trailer has come out shows the hype for the movie and is definitely a good sign for the series. This series is a spin off to the original Potter saga, but the fact that Queen JK Rowling has returned to add another chapter to her Potter world has united the Potterheads and has given us something worth waiting for.